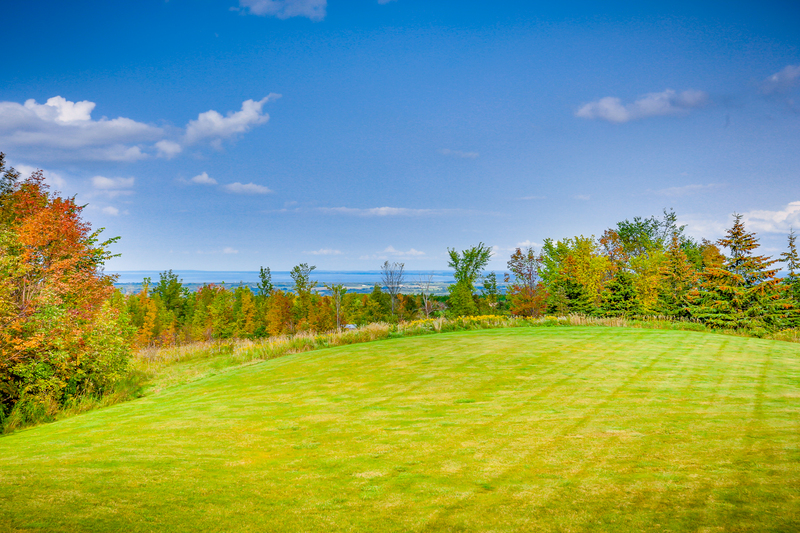 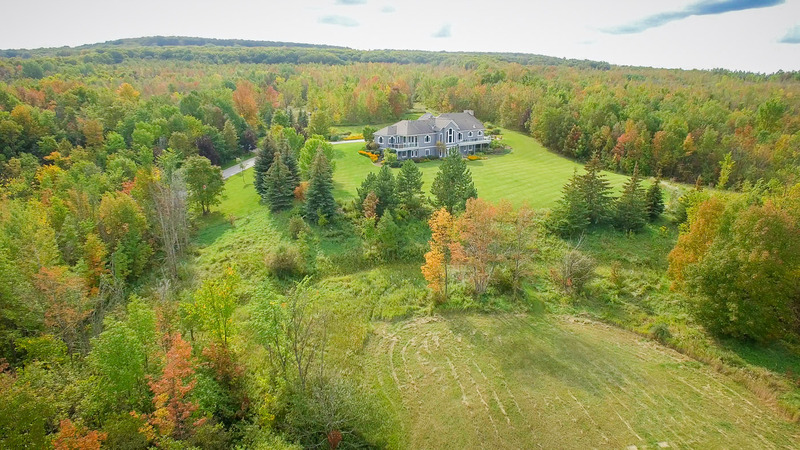 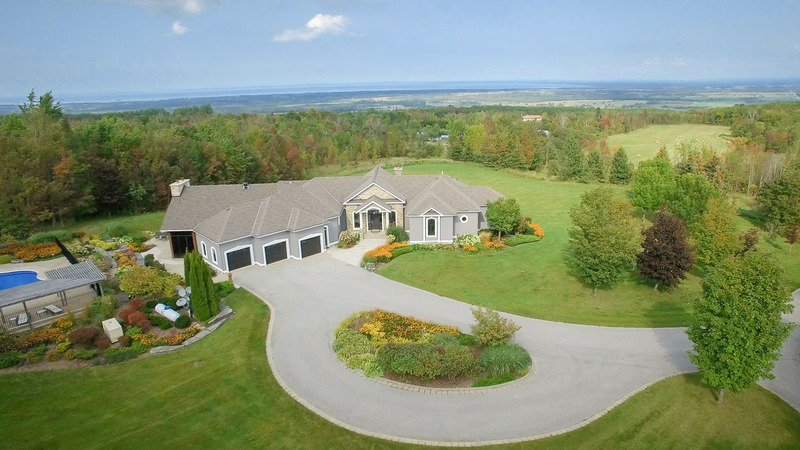 Live the dream in this stunning private estate with million dollar views! 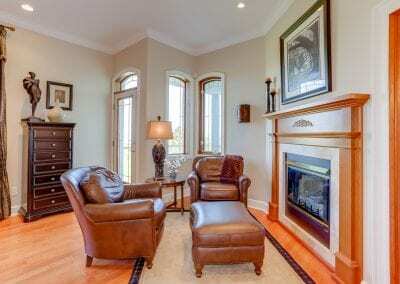 Fabulous 5 bedroom, 5 bath home, 6,600 sq.ft. 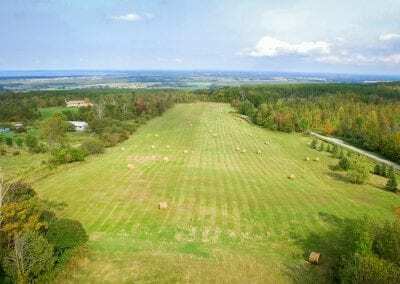 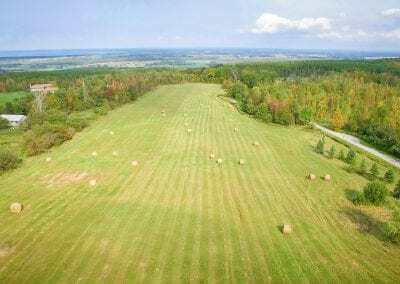 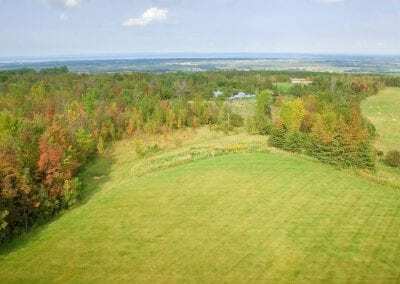 set on 37.5 Acres. 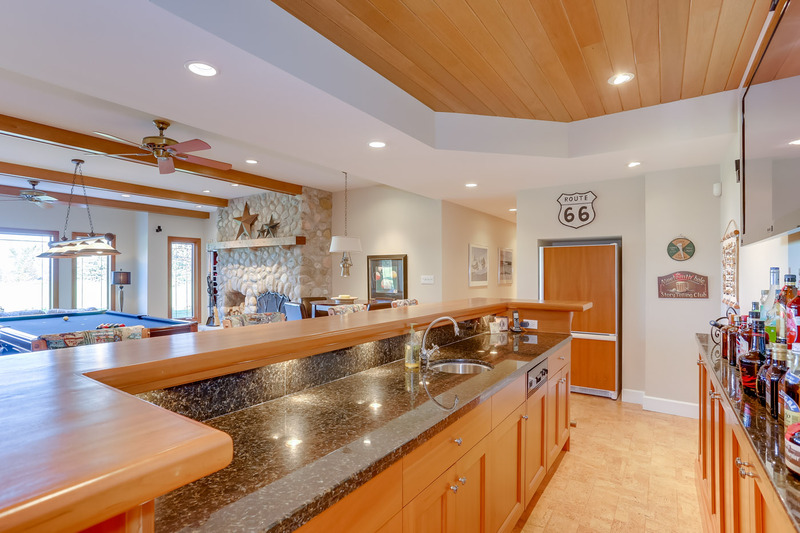 The perfect home for entertaining with an impressive custom chefs kitchen, granite countertops, large sit-up island, walk-in pantry, a second dishwasher, in-floor heating, and premier appliances. 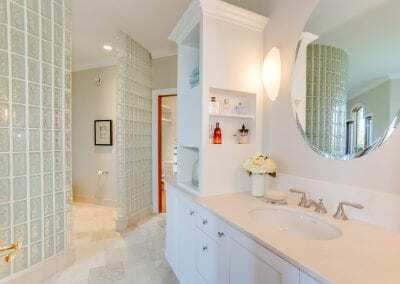 Wine nook/butlers pantry complete with wine fridge, sink, and storage. 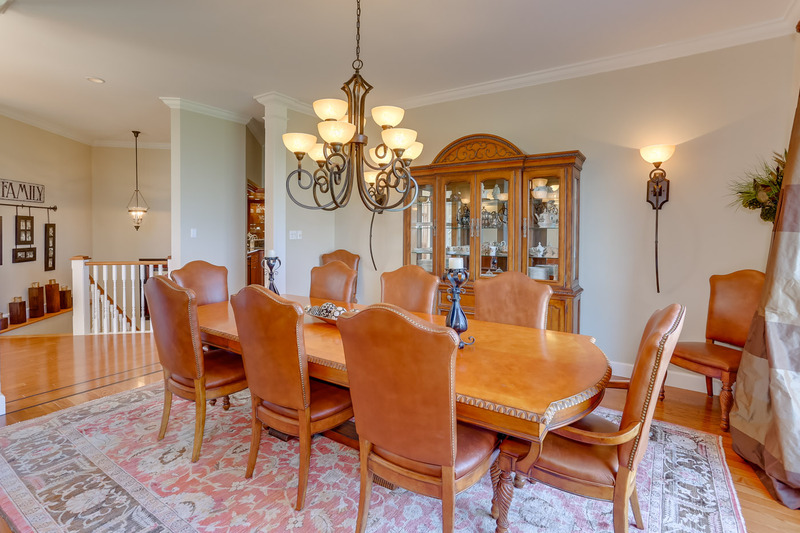 Enjoy time with family and friends in the large dining room and great room which have views of Georgian Bay and lead out to the upper deck. 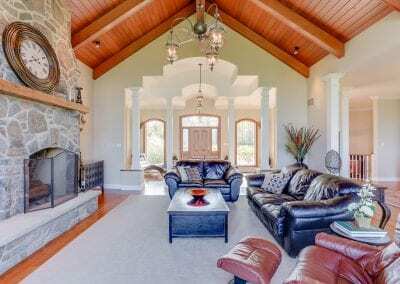 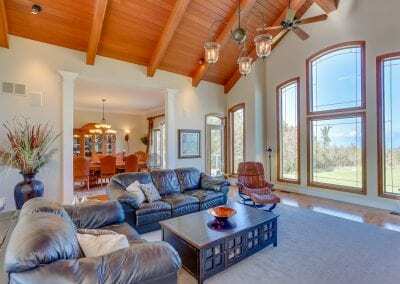 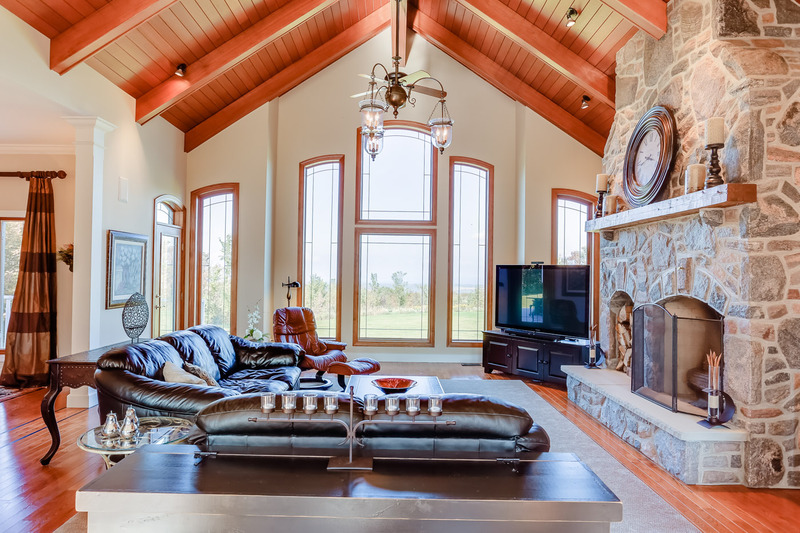 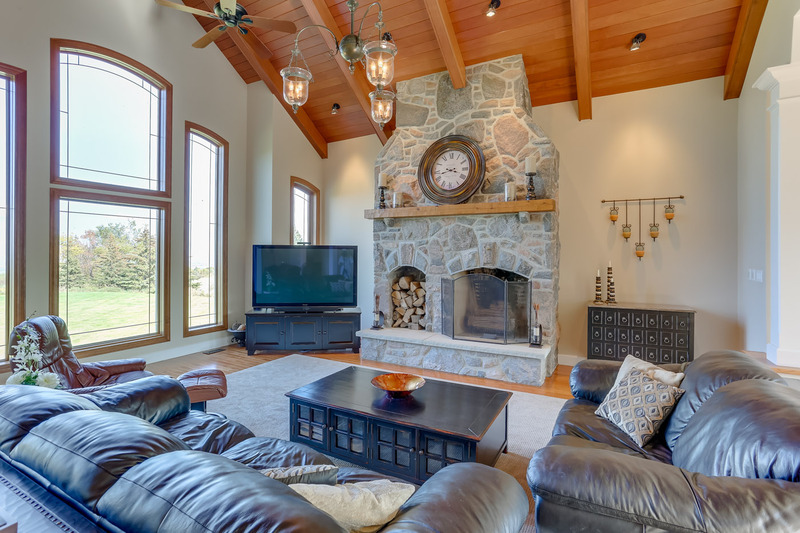 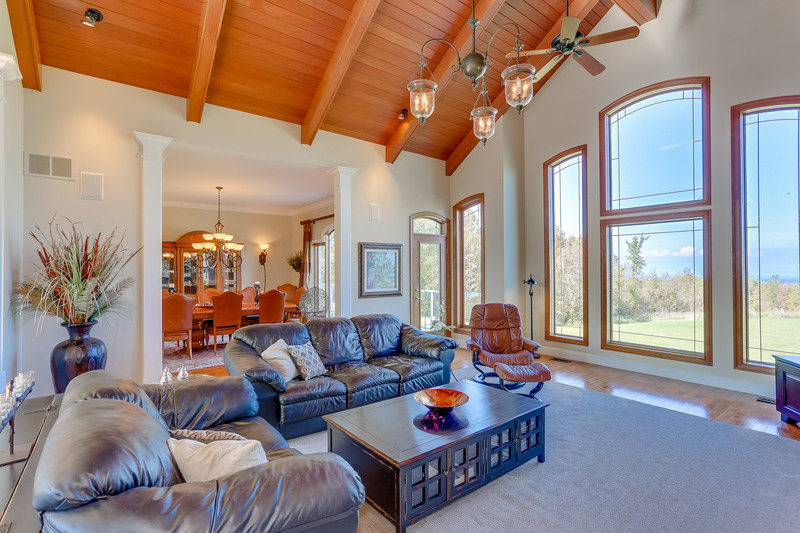 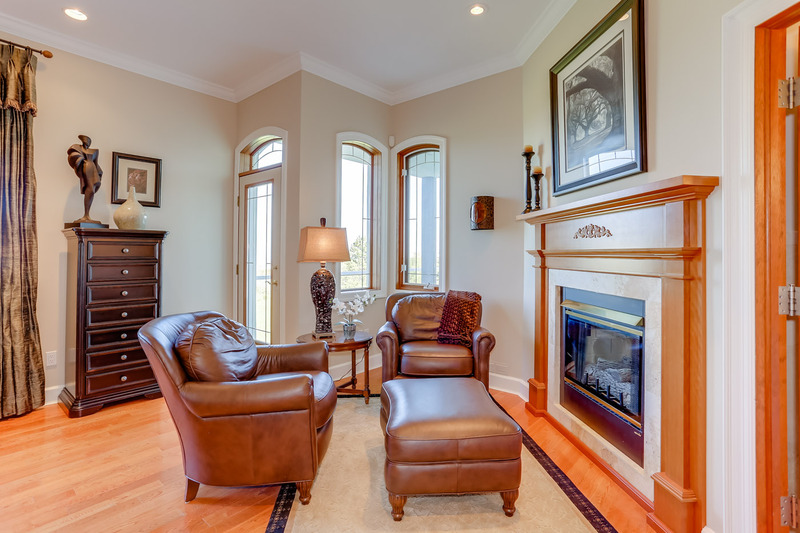 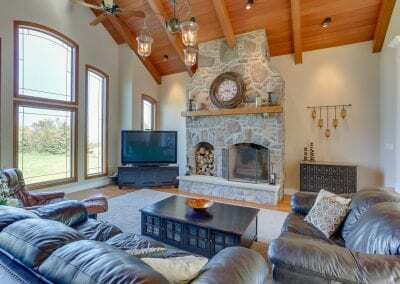 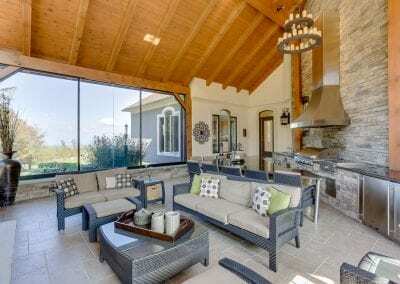 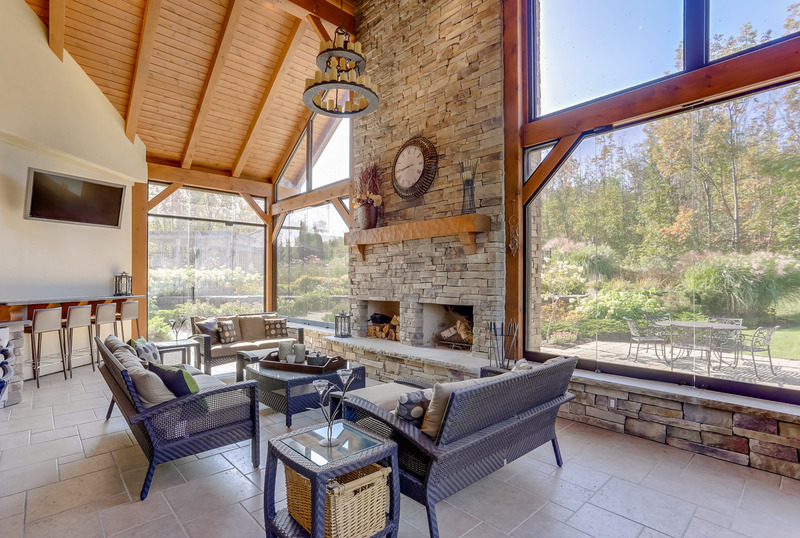 The great room has vaulted mahogany ceilings and a wood burning fireplace with fieldstone surround. 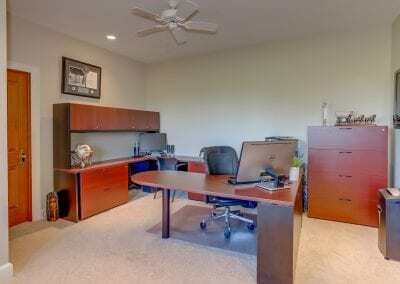 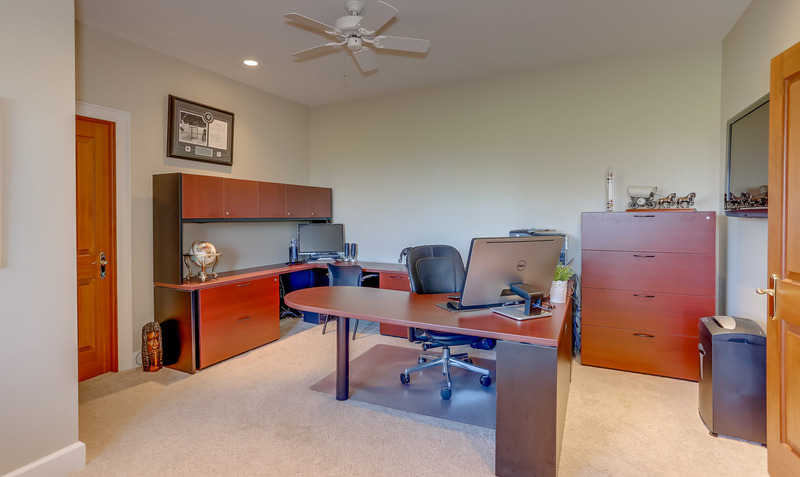 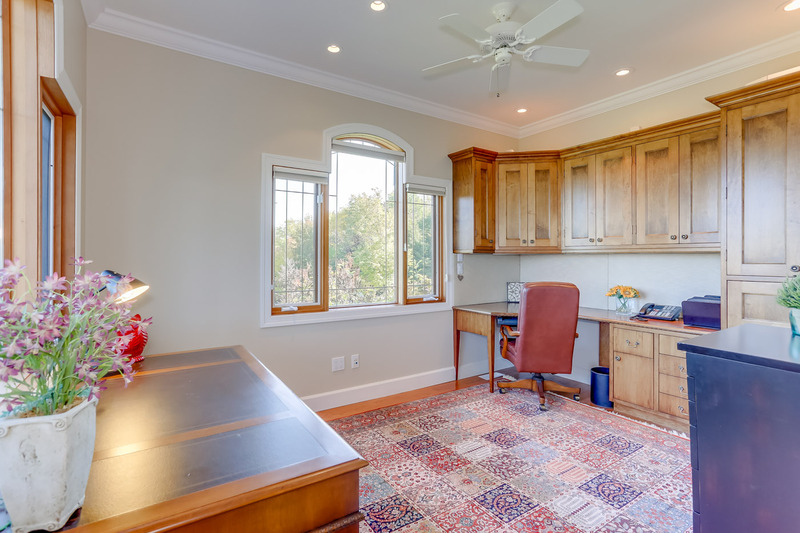 The main floor also features a media room/library with custom cabinetry. 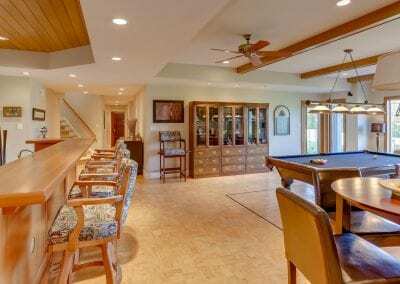 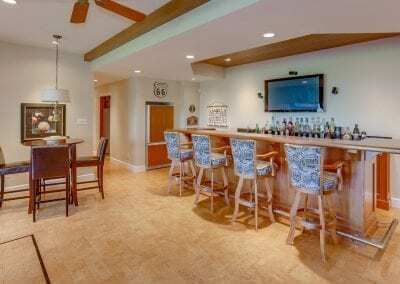 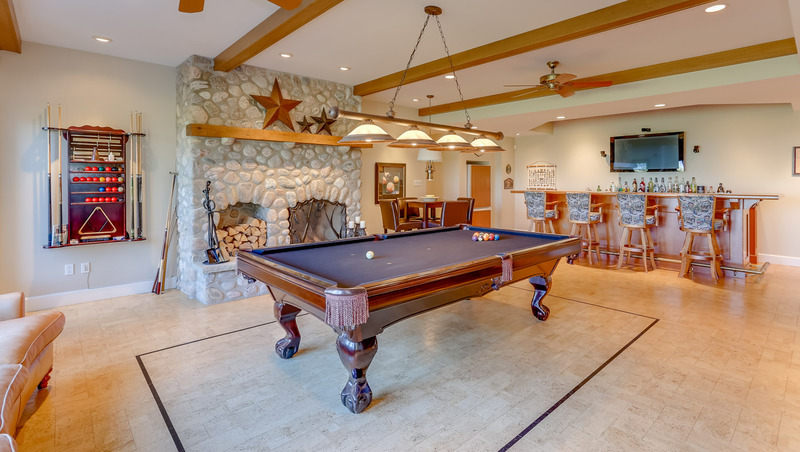 For more entertaining the billiards room on the walk-out lower level is equipped with a wood burning fireplace, full bar and leads out to the lower patio. 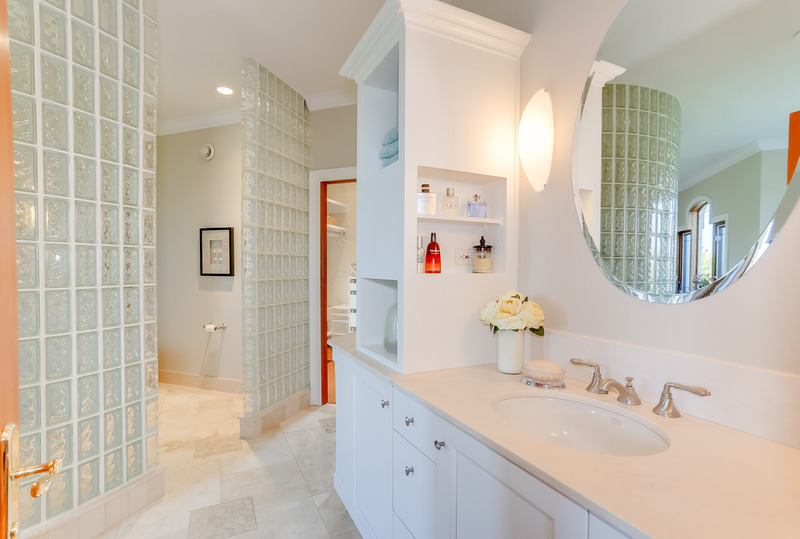 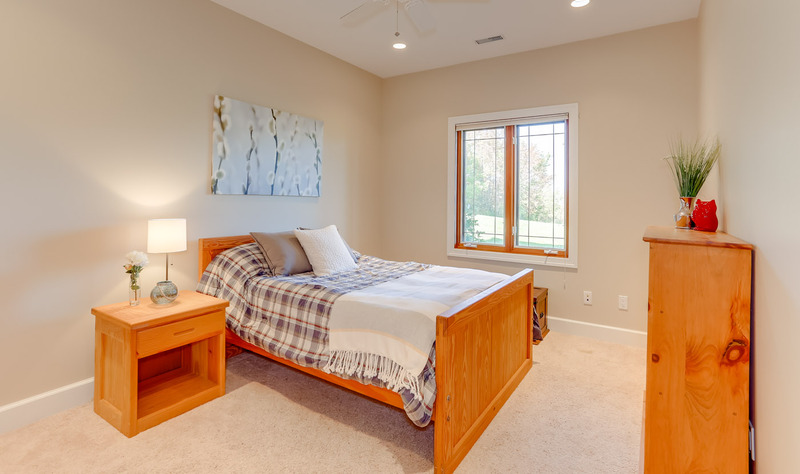 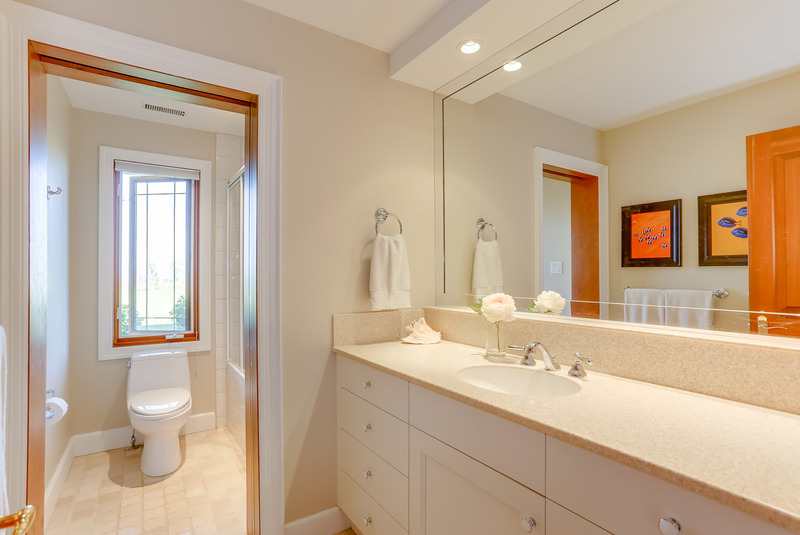 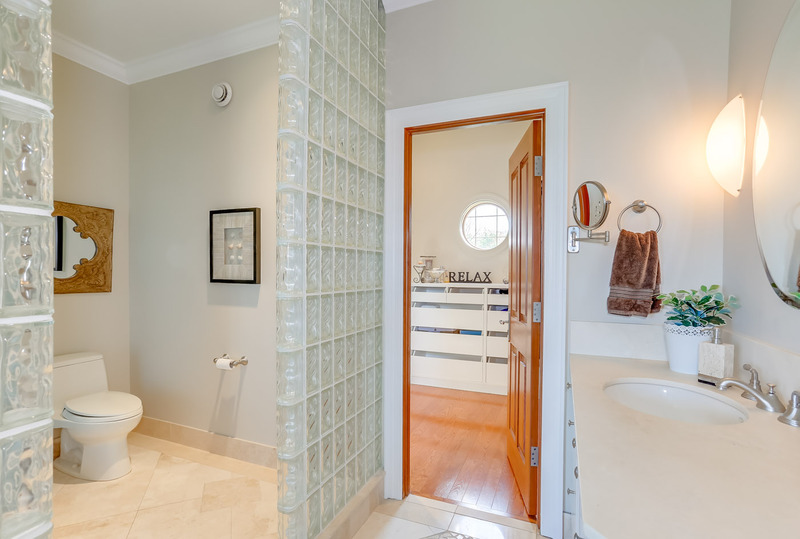 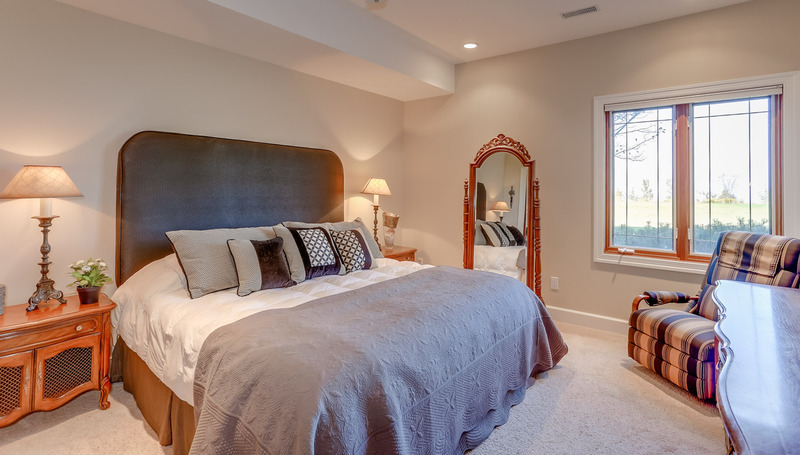 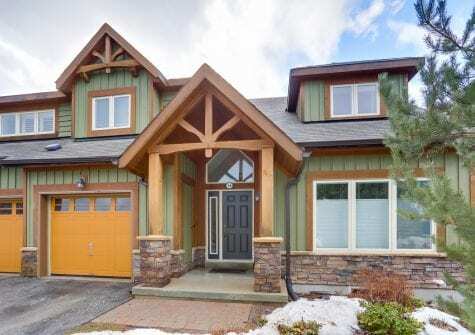 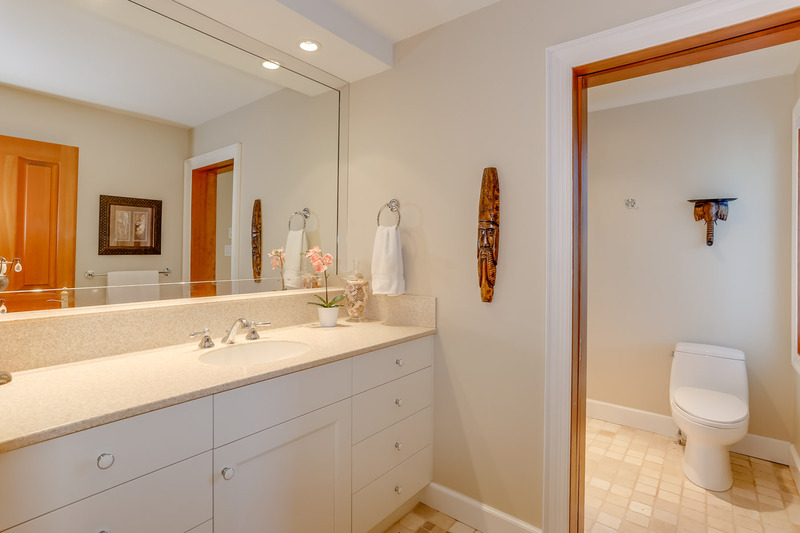 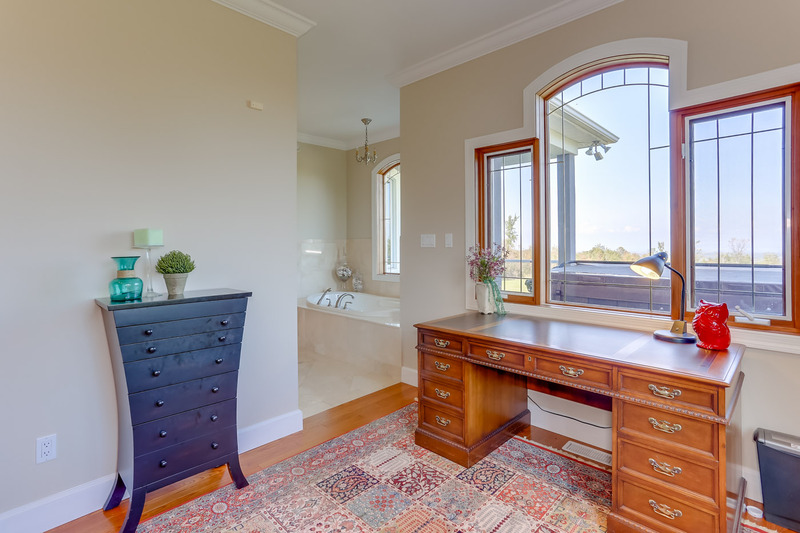 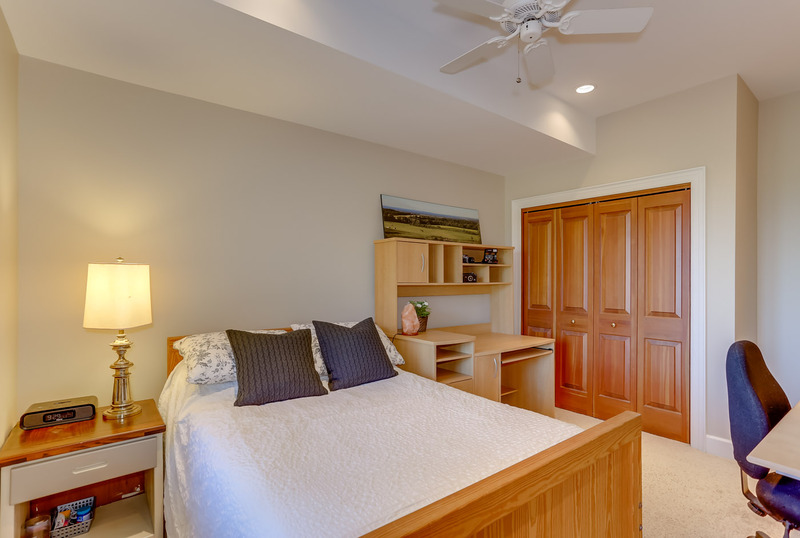 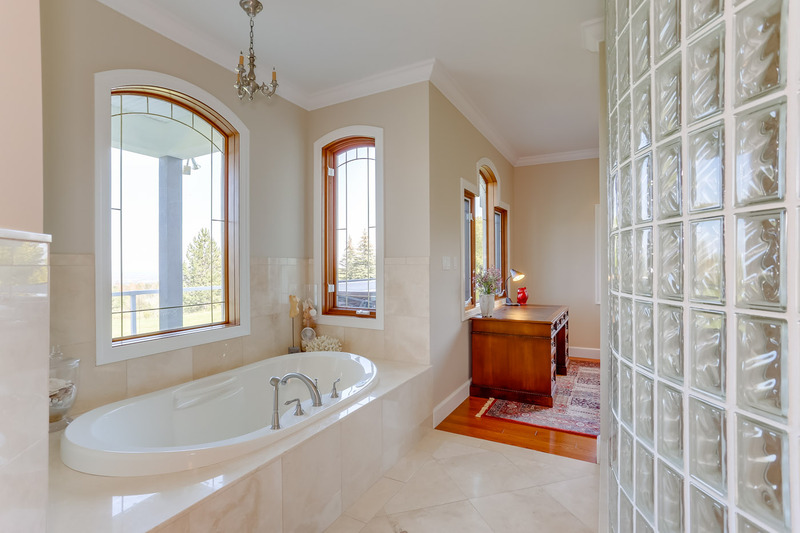 Retreat in the main level master suite, with walk out to the private spa, a sitting area, an en-suite bathroom with double sided gas fireplace, walk-in shower, dressing room and office that would make an excellent second dressing room and soaker tub. 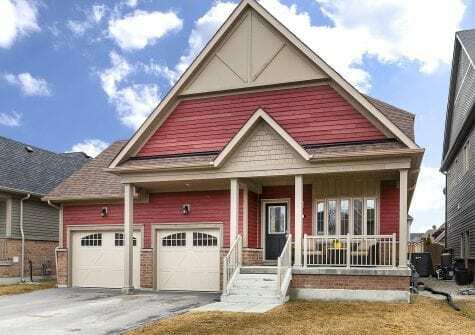 Two bedroom pods, with four other bedrooms and two full bathrooms are above grade in the walk-out lower level. 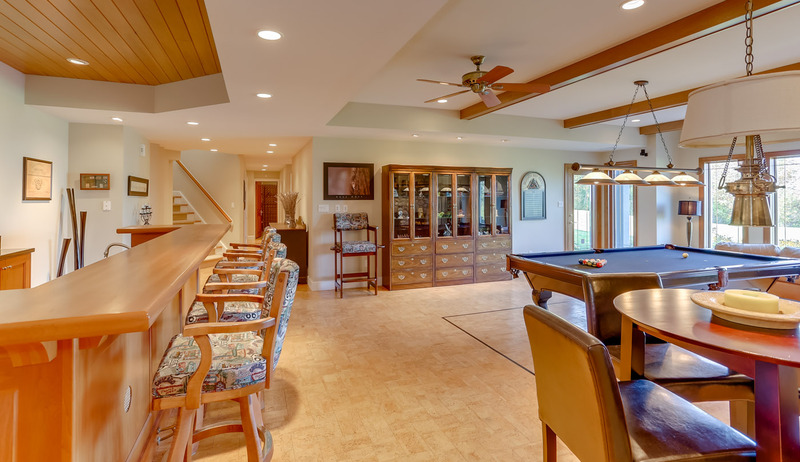 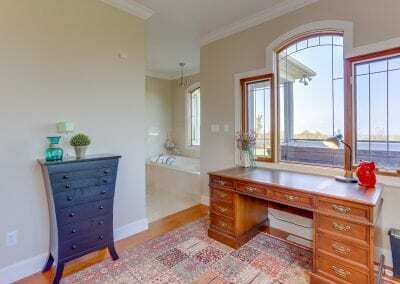 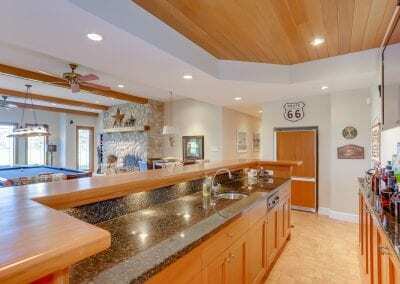 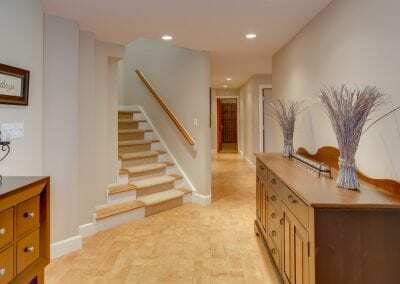 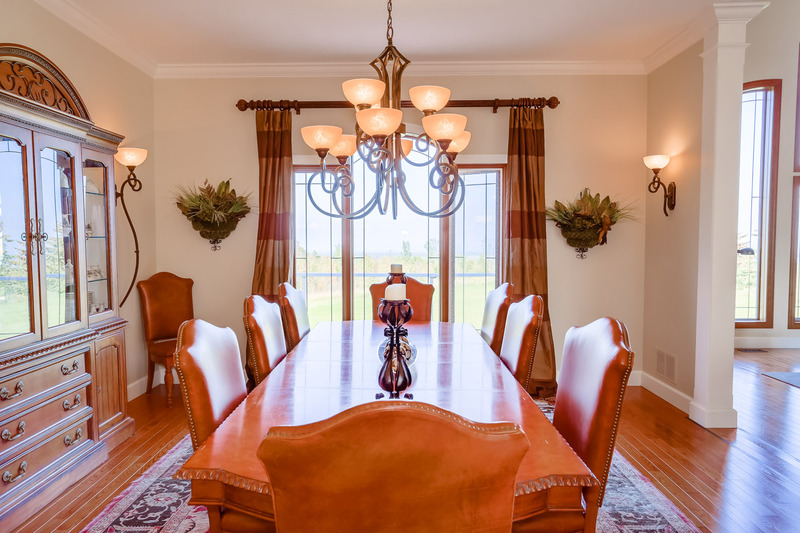 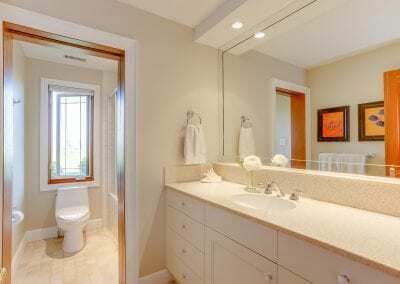 There is also a gym, wine cellar and plenty of storage throughout the rest of the lower level. 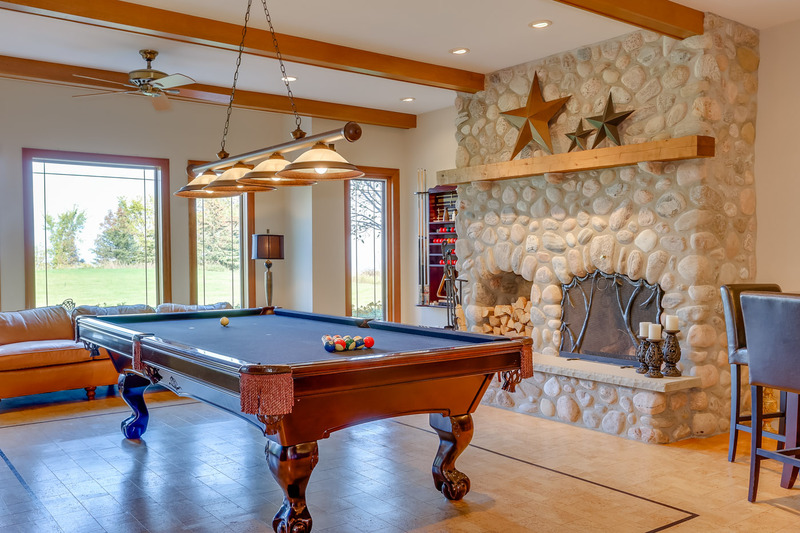 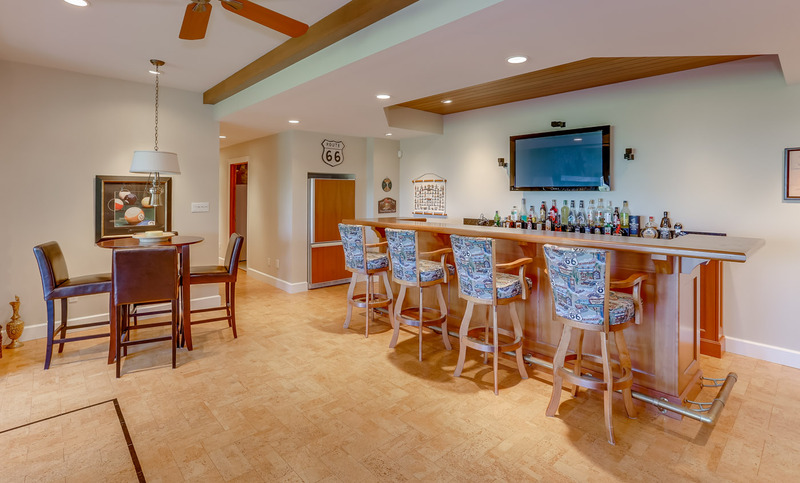 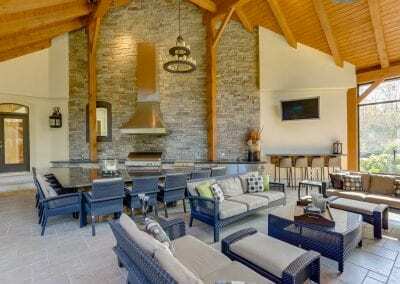 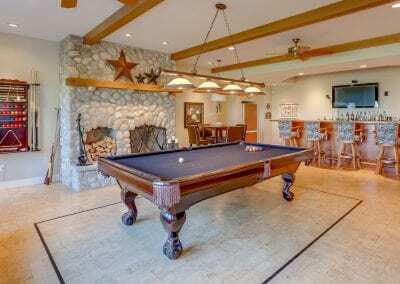 The custom 3 season entertainment room is impressive and was featured in Homes & Cottages magazine. 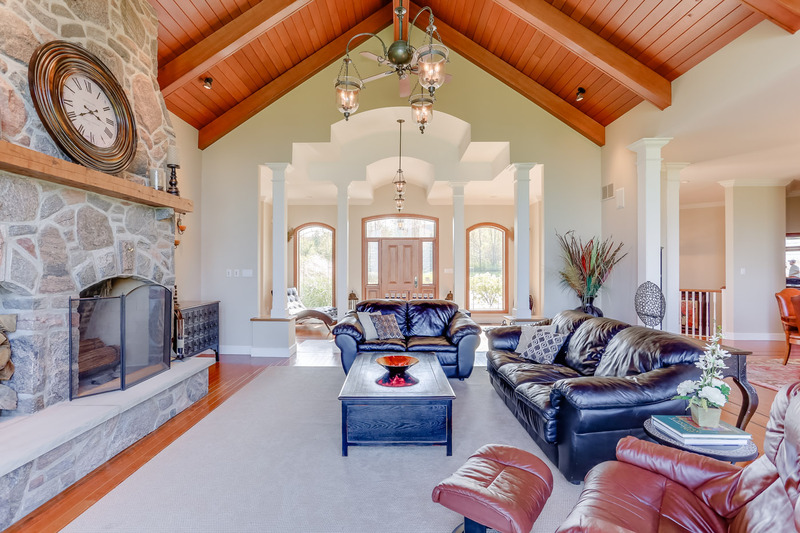 The vaulted ceiling features B.C. 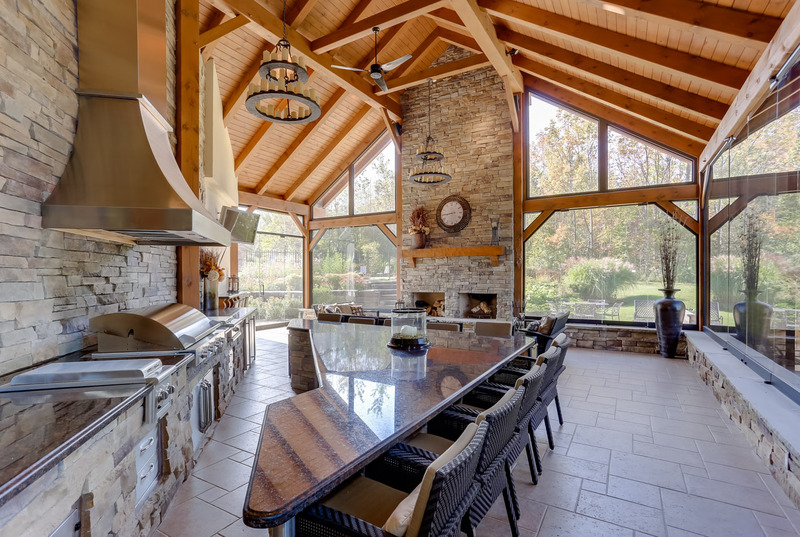 timber beams which are supported at one end by the stone wall and on the other end the floor-to-ceiling stone fireplace. 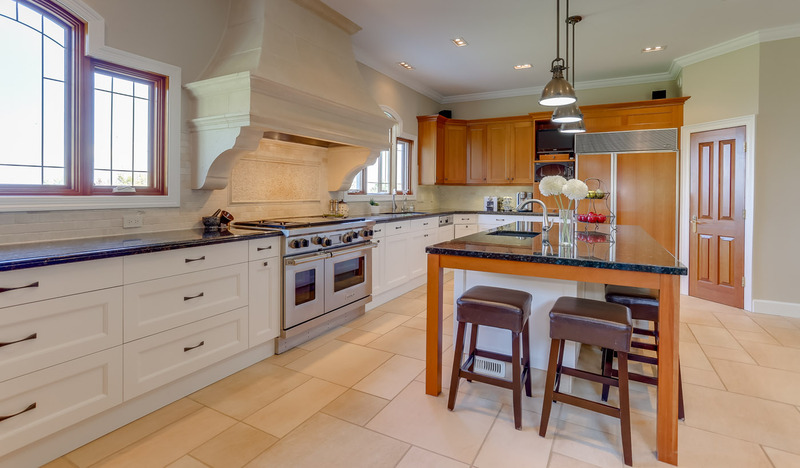 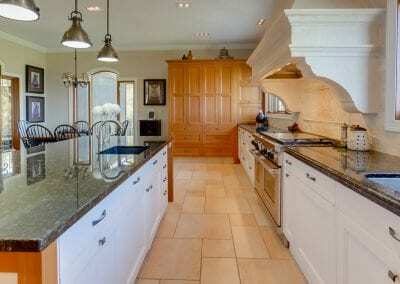 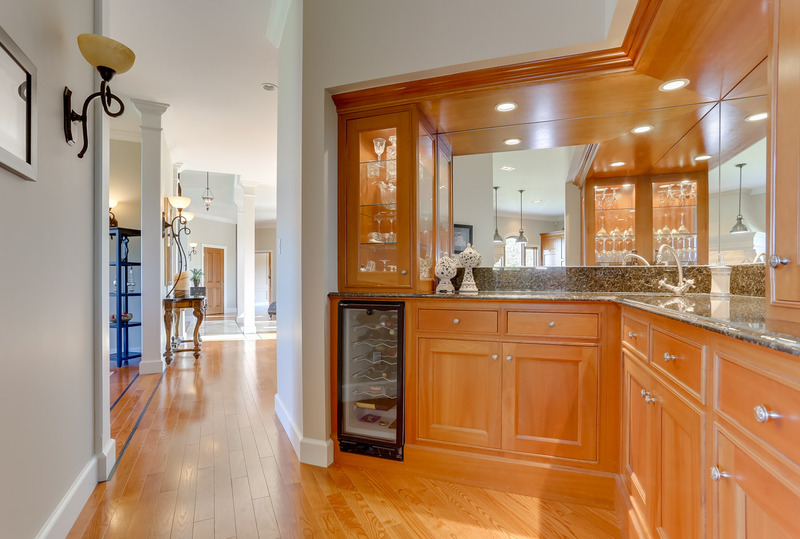 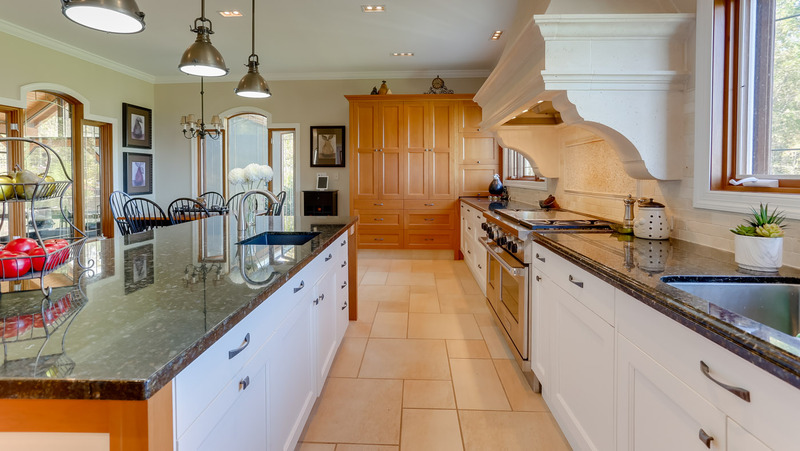 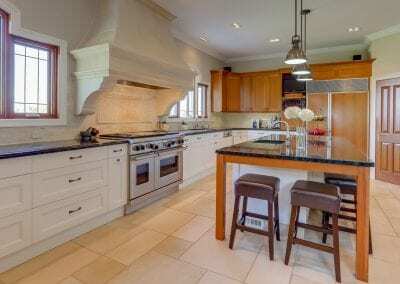 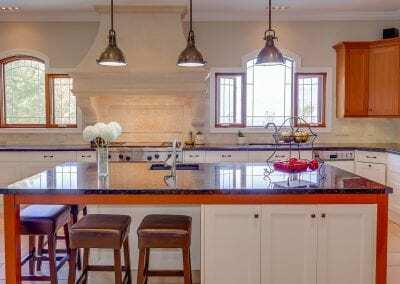 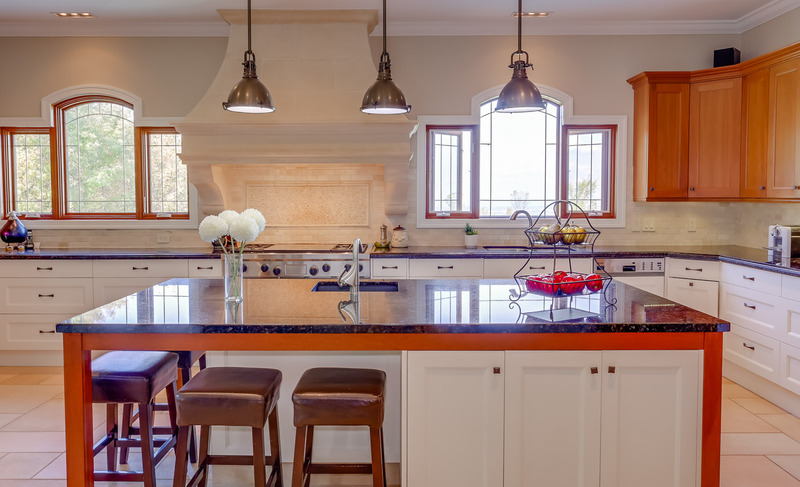 Restaurant quality appliances are surrounded by a custom island that seats 10. 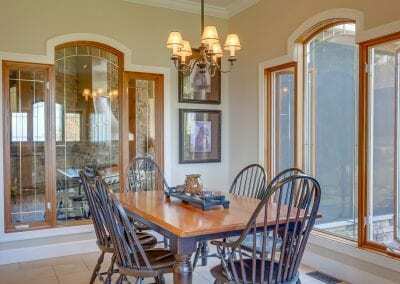 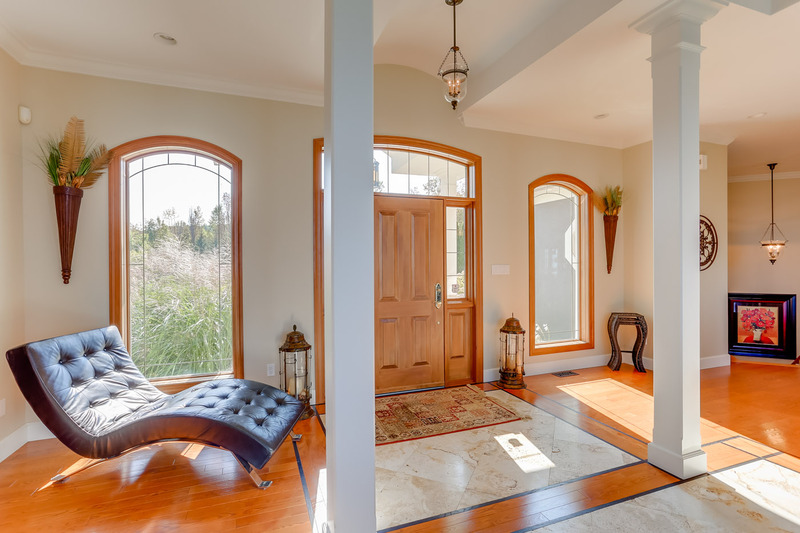 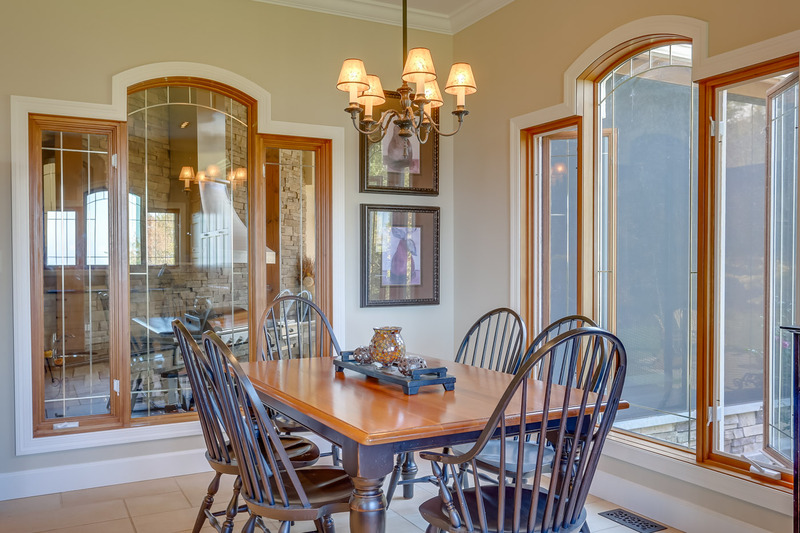 Walls of picture windows open up to allow the outdoors in. 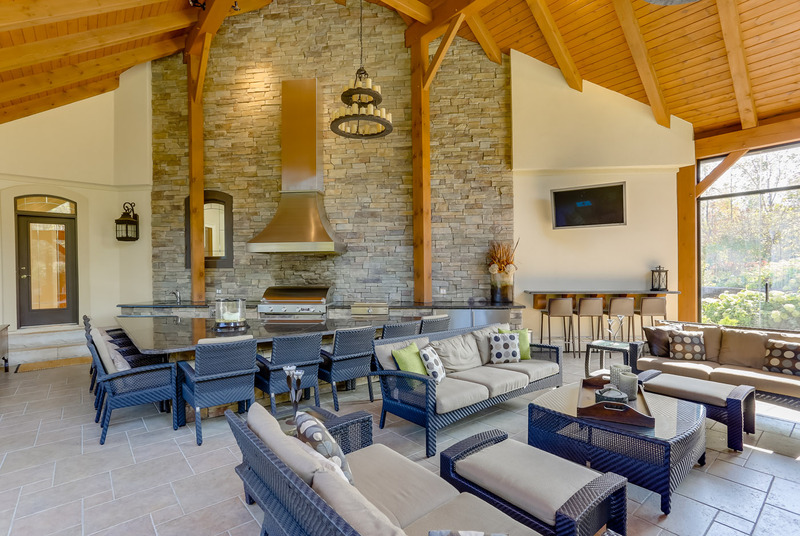 Steps away from this room is the saltwater pool with cabana and the outdoor fire pit. 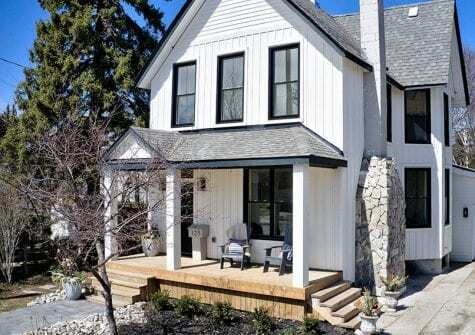 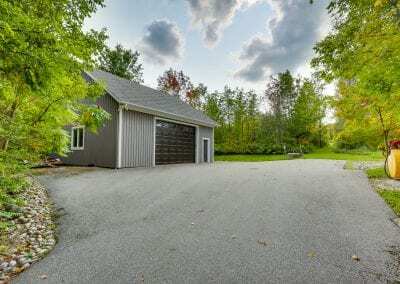 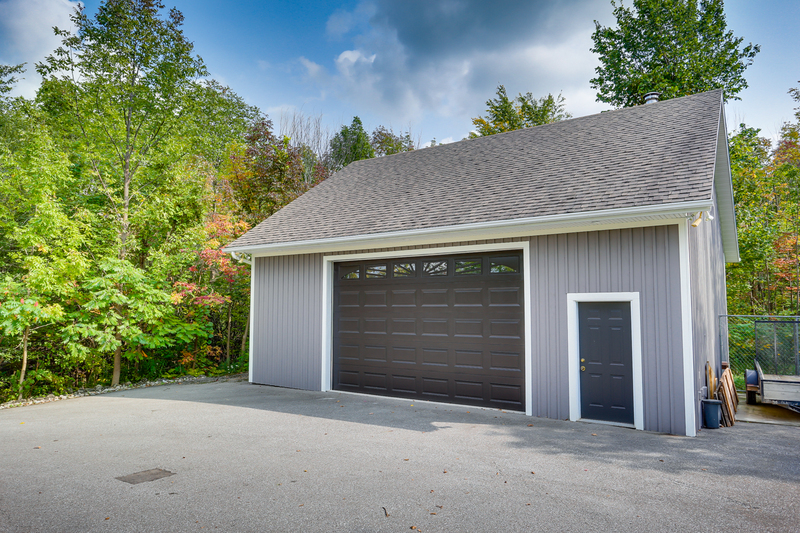 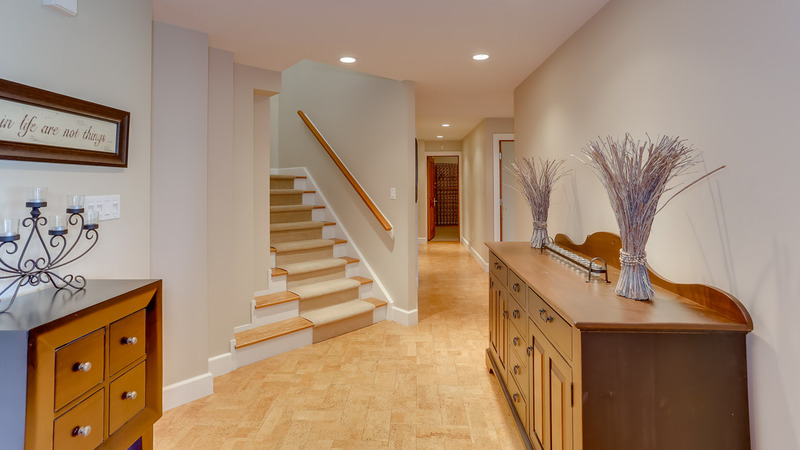 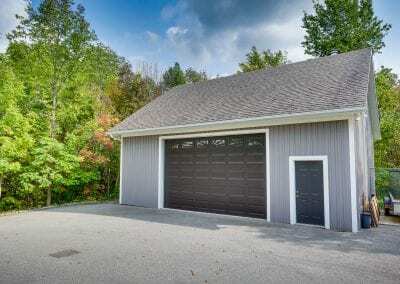 This functional home features an attached triple car garage with workshop nook and mudroom entry. 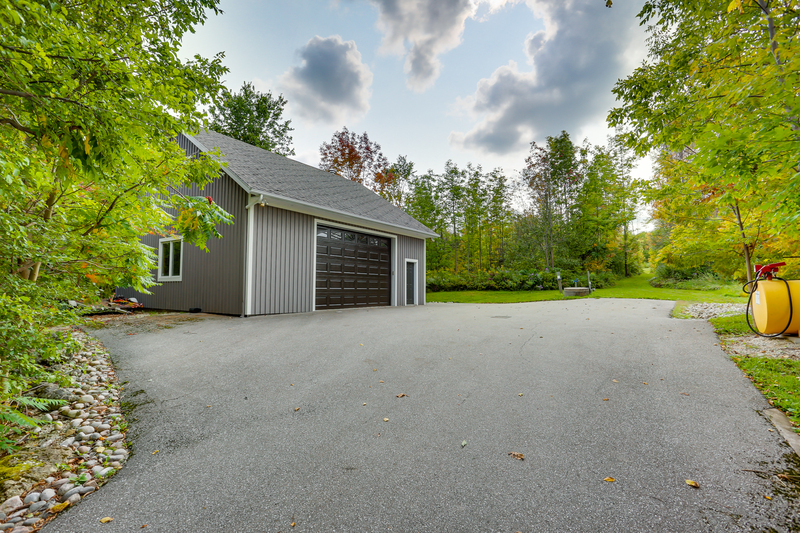 There is a detached 35’ x 30’ boat/trailer garage, with loft storage, for all of the toys, along with a dug well for car washing. 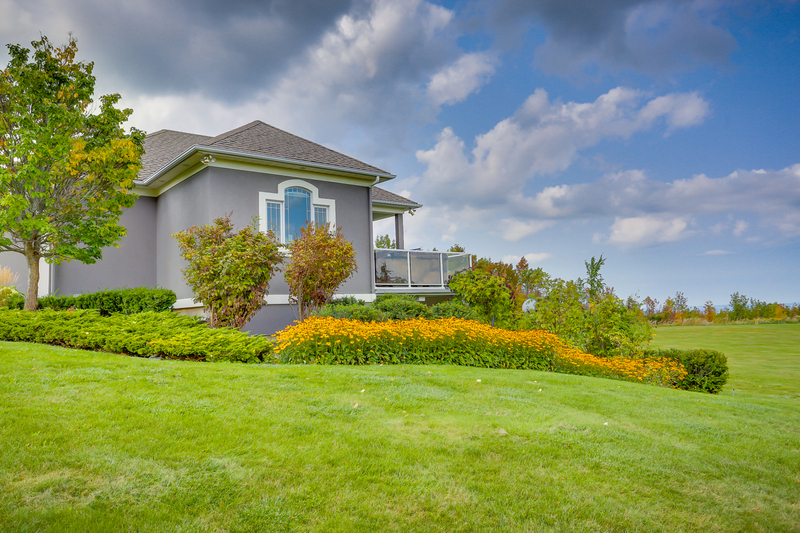 The backup generator, with automatic transfer switch, powers the entire house. 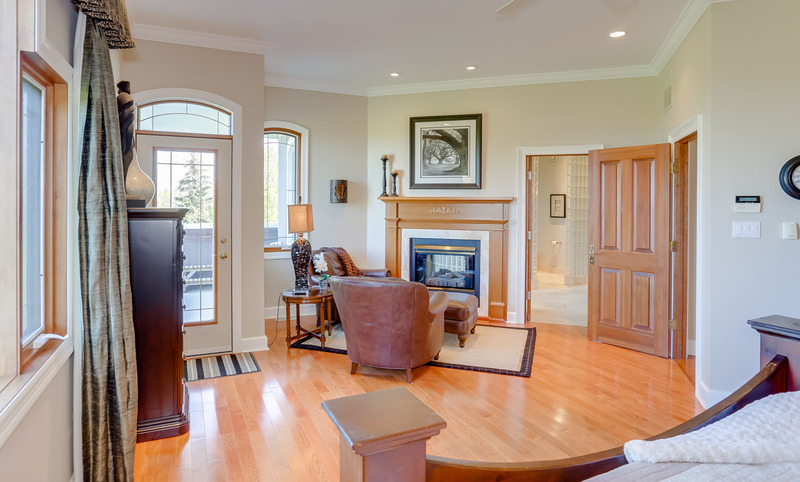 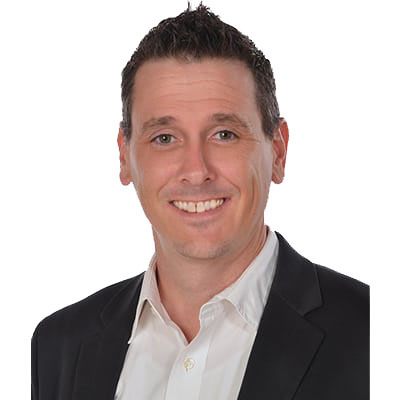 Home automation and security system. 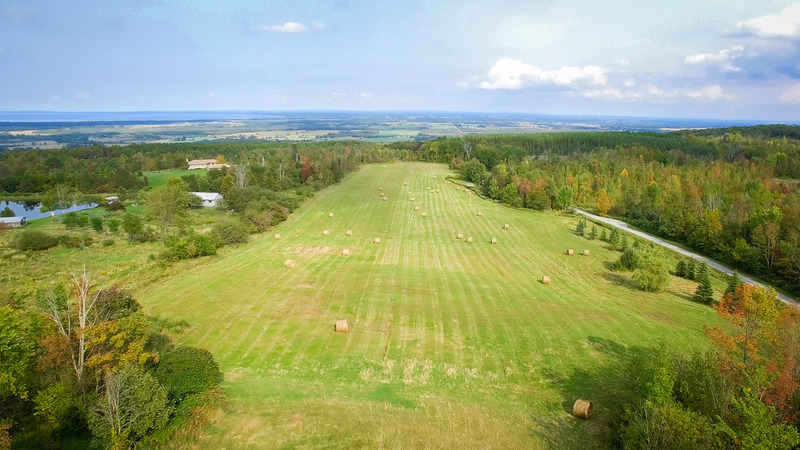 The 37 acres has a lot to offer. 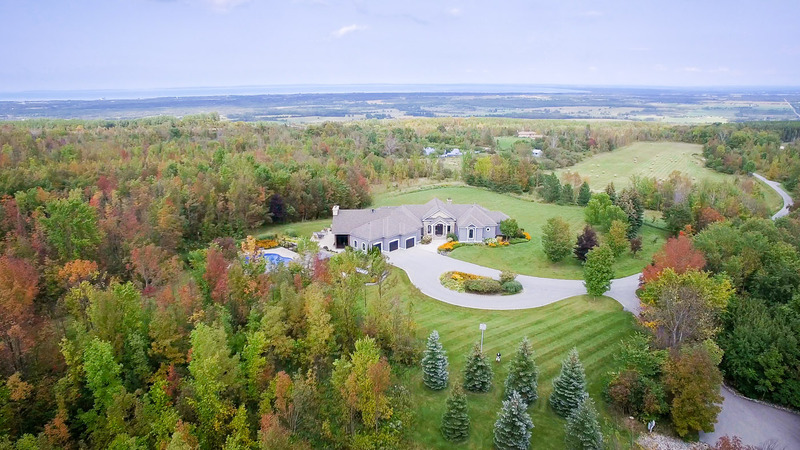 The secure electric entry gate(created by local Creemore artist Rene Petitjean) leads to the meandering paved drive lined with lights. 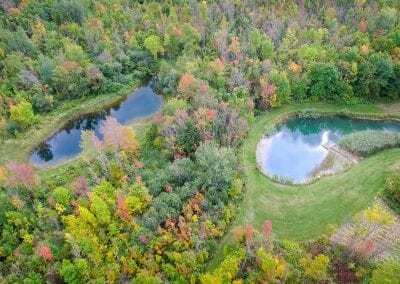 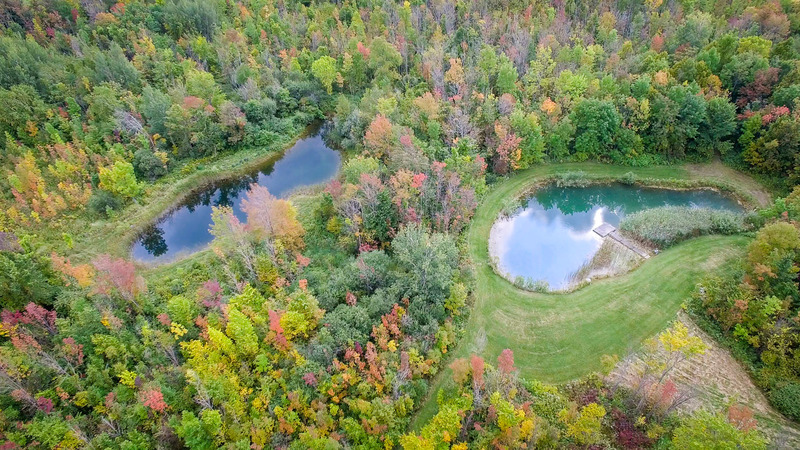 There is a private fishing pond stocked with Bass, Blue Gill, Sunfish and Perch, complete with dock. 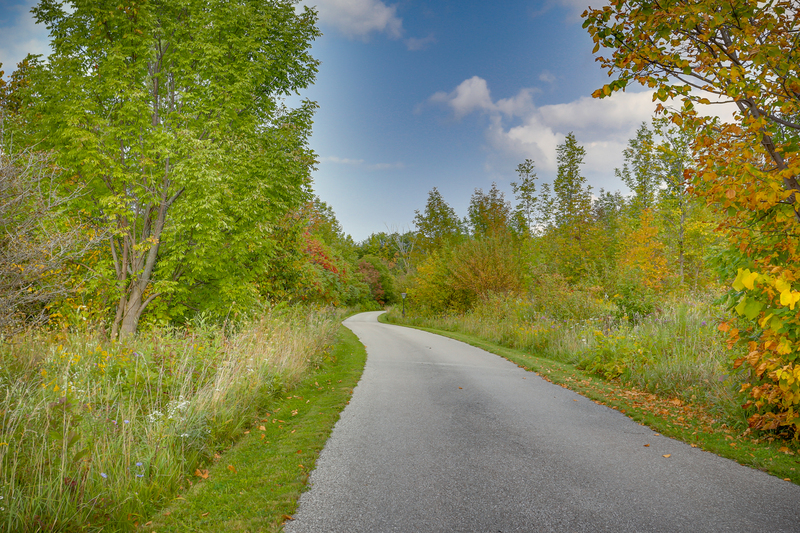 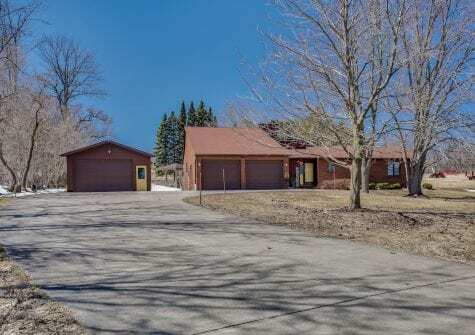 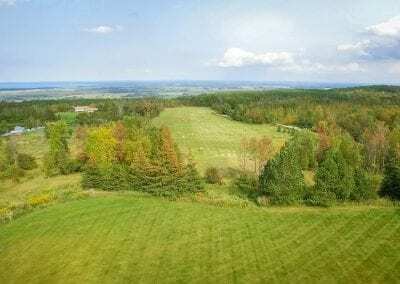 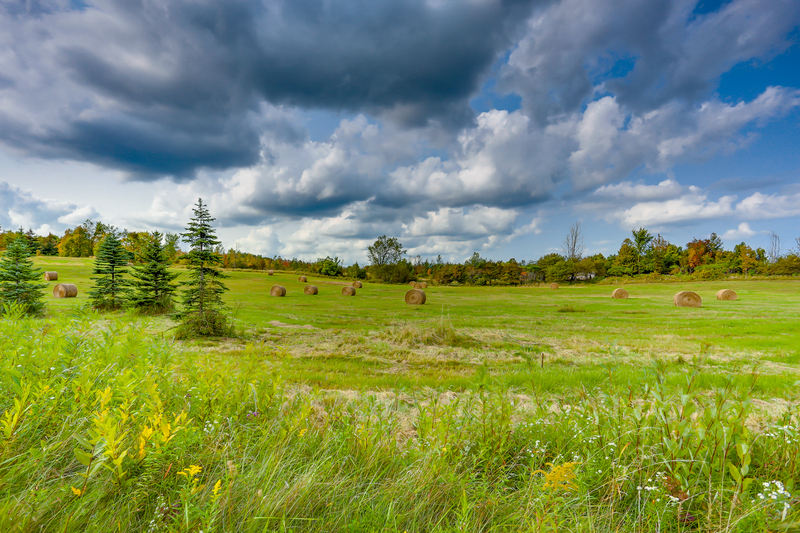 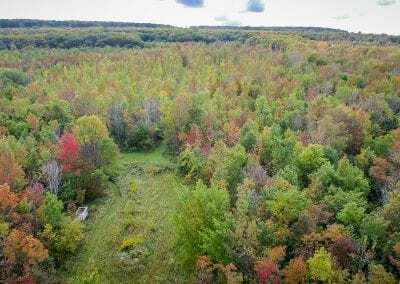 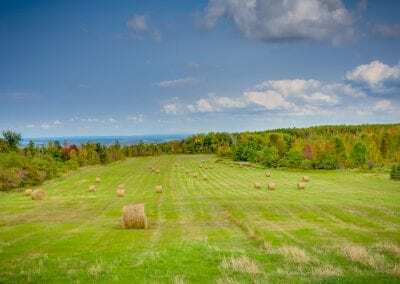 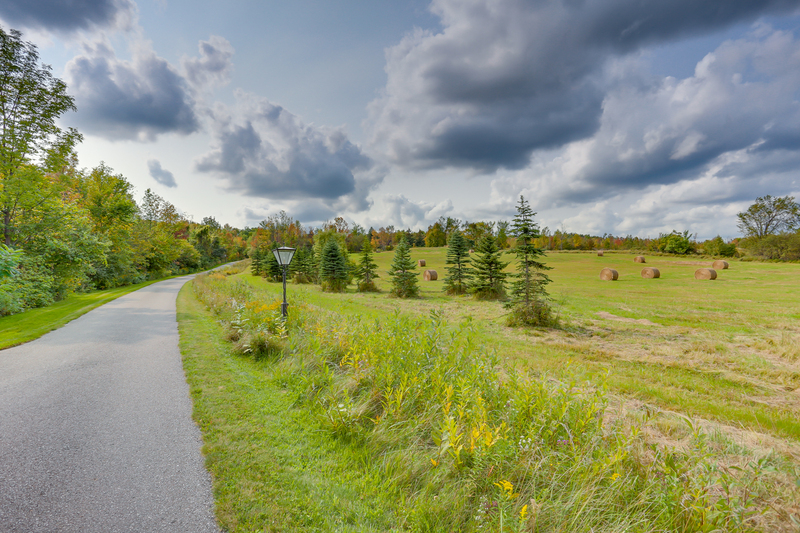 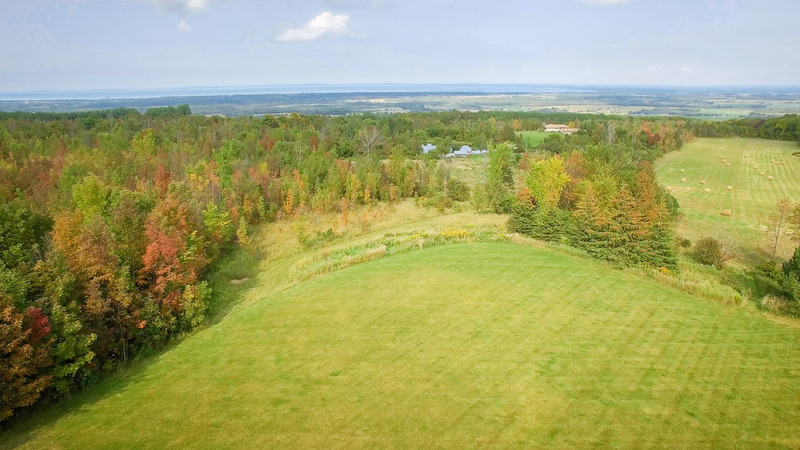 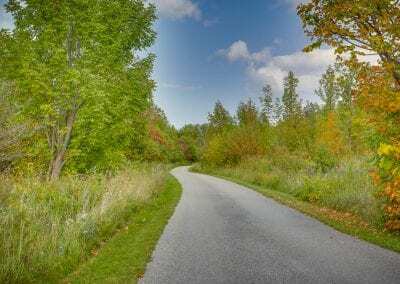 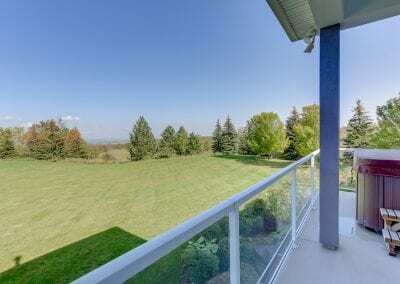 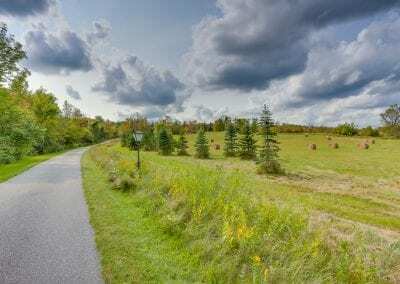 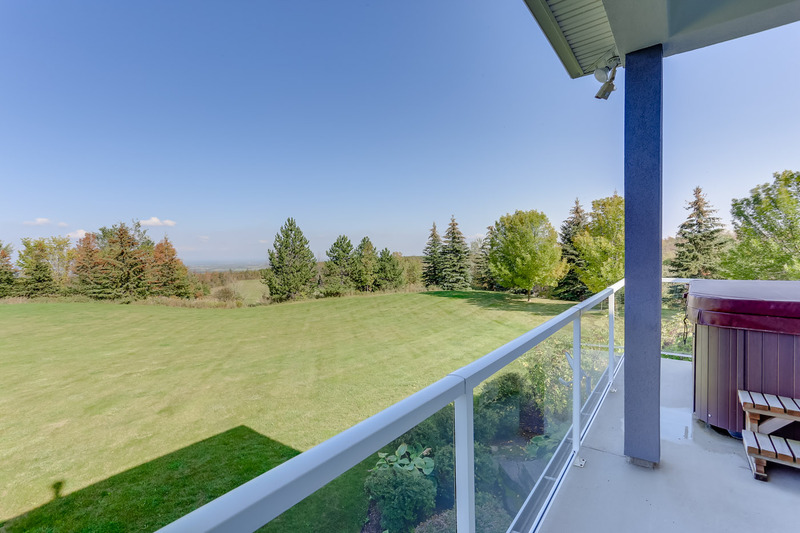 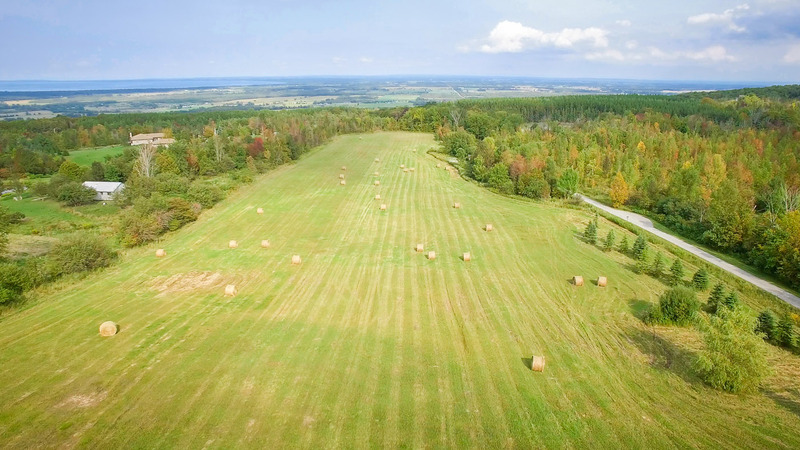 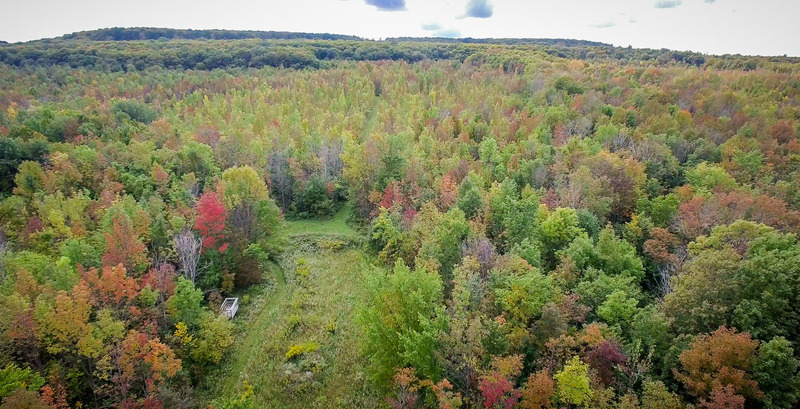 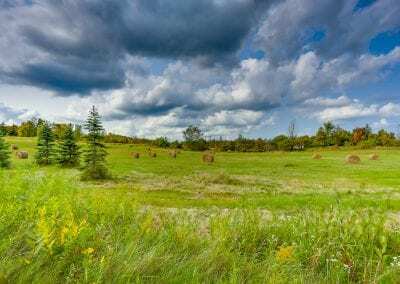 Approximately 8 km of private trails run along the property and you can take advantage of the Bruce Trail and Nottawasaga Lookout Provincial Nature Reserve that borders the property. 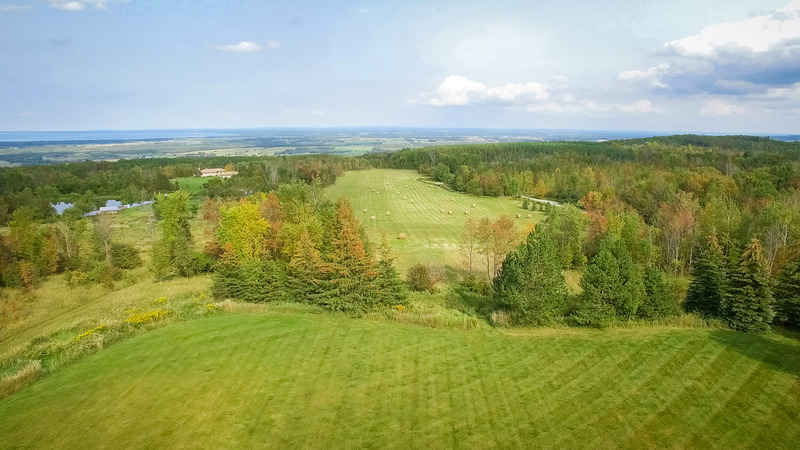 The sloping topography and hay field has been used as a private golf driving range. 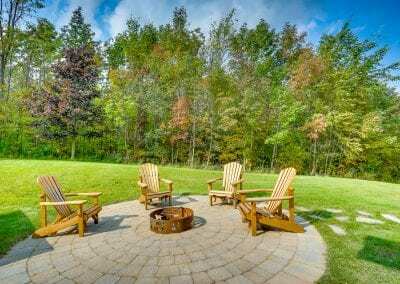 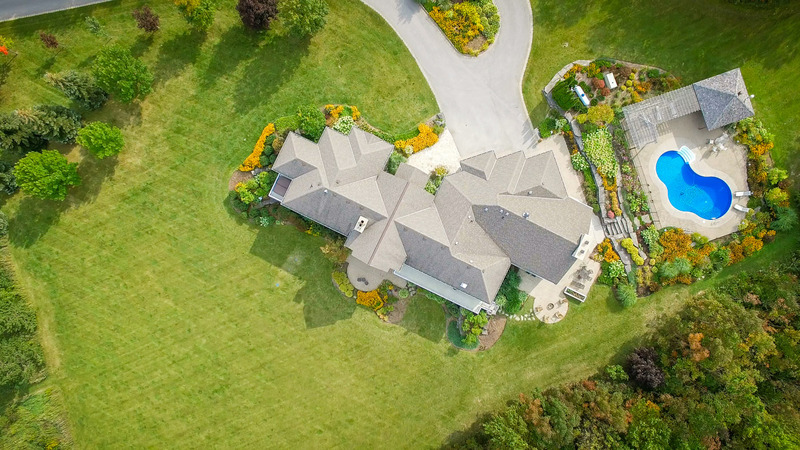 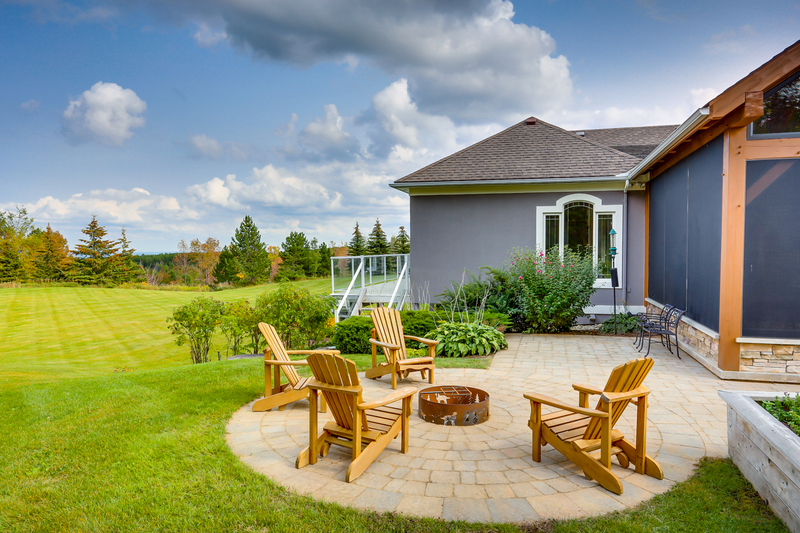 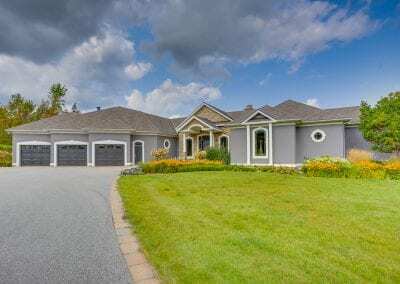 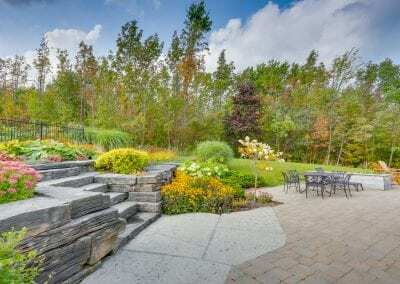 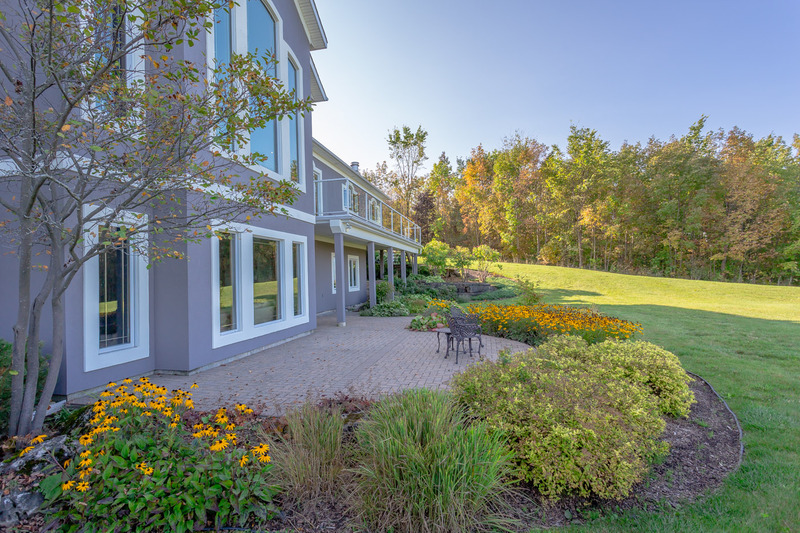 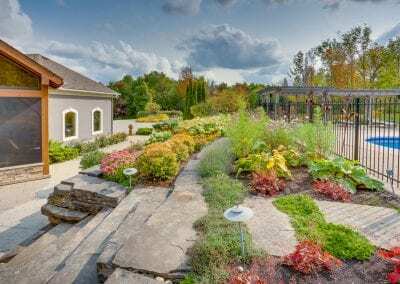 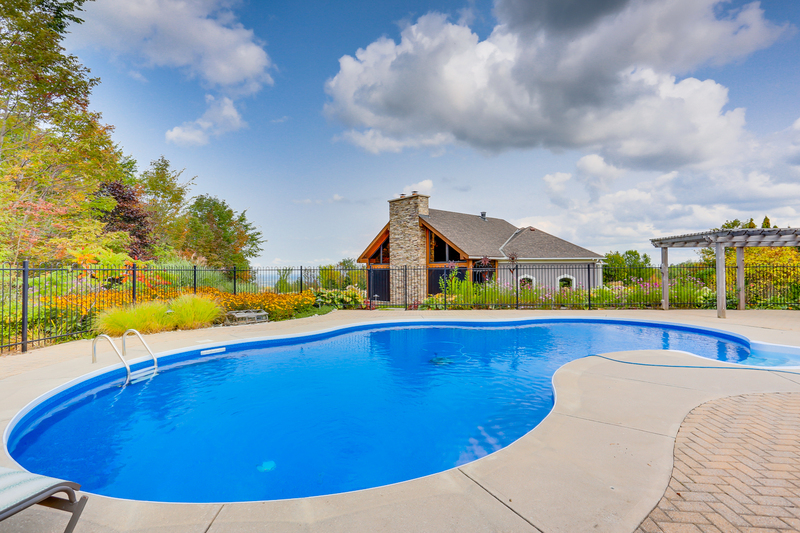 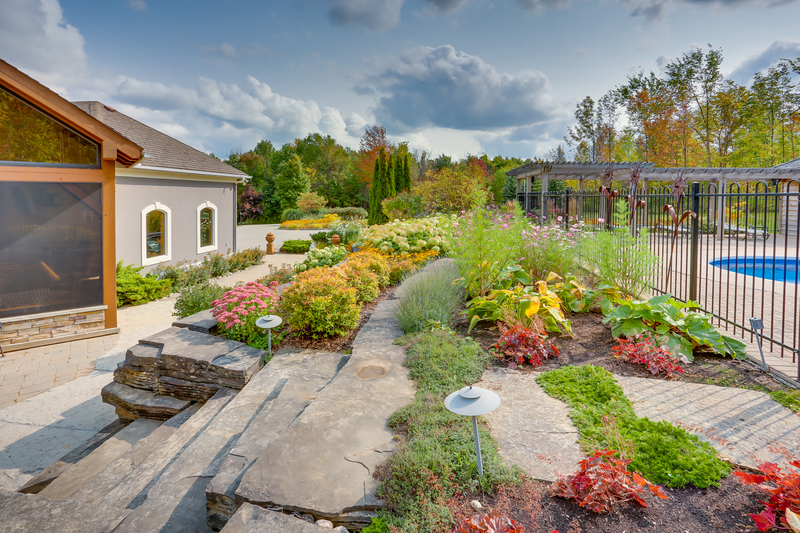 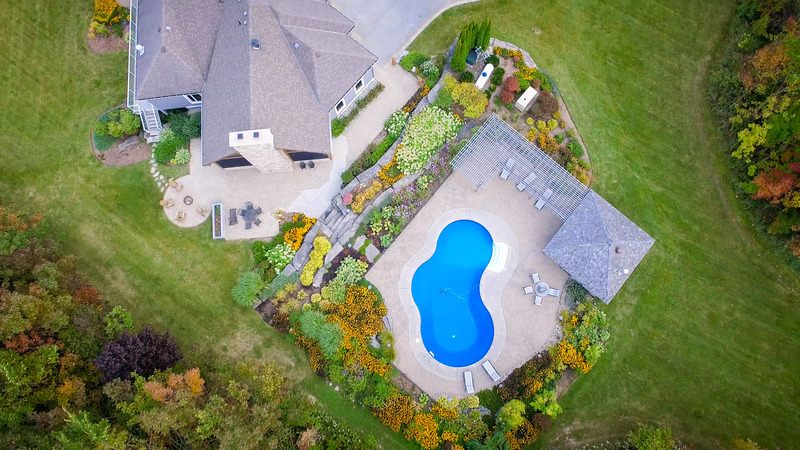 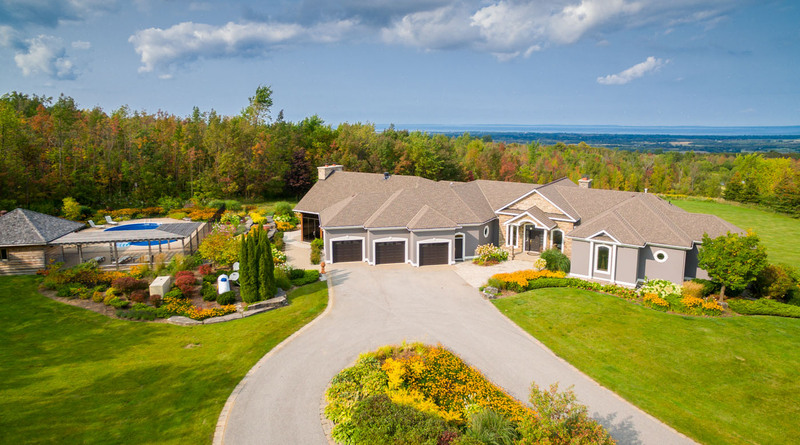 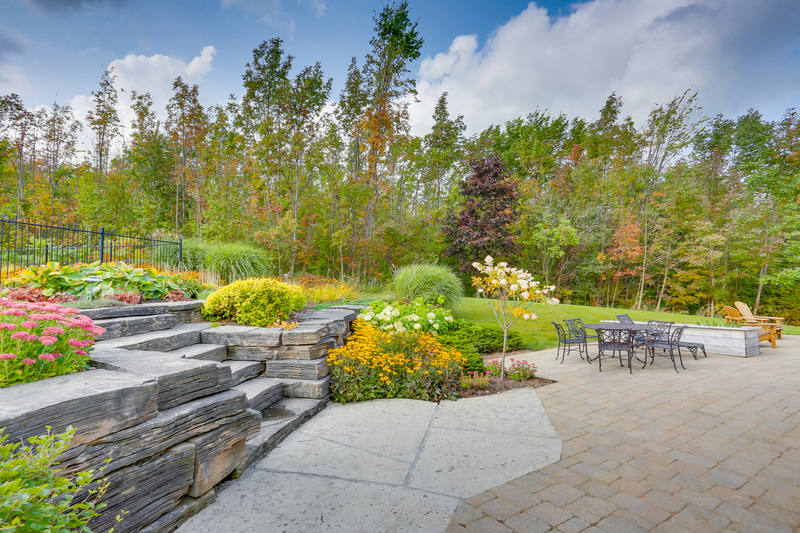 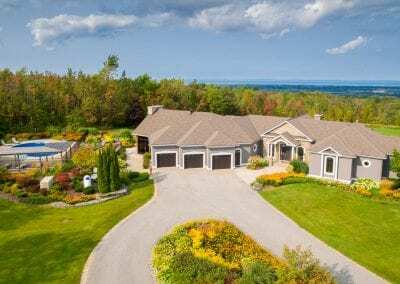 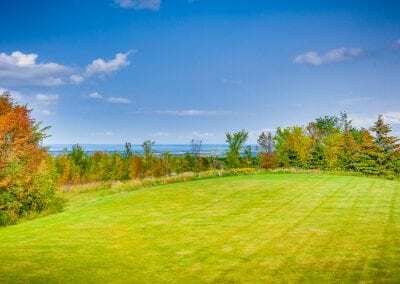 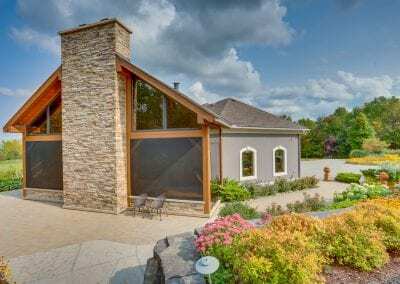 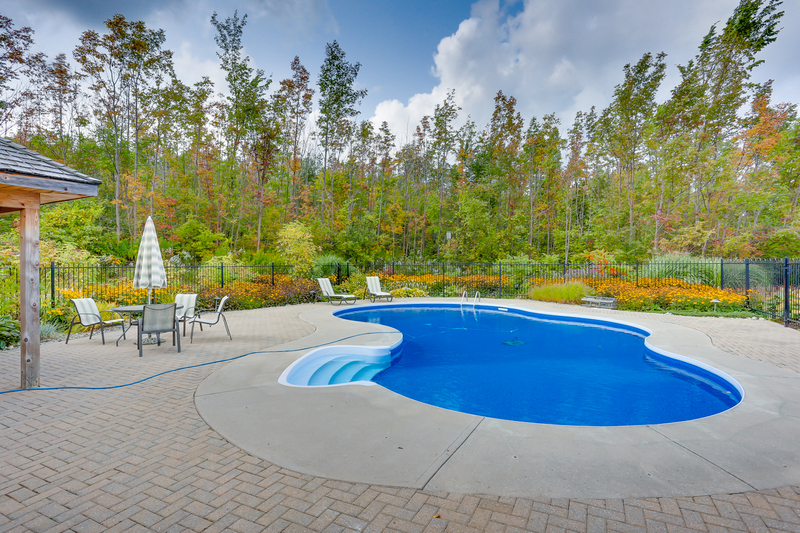 Beautiful landscaping and hardscaping, including Wiarton waterfall stone, numerous perennial gardens, and controlled irrigation system. 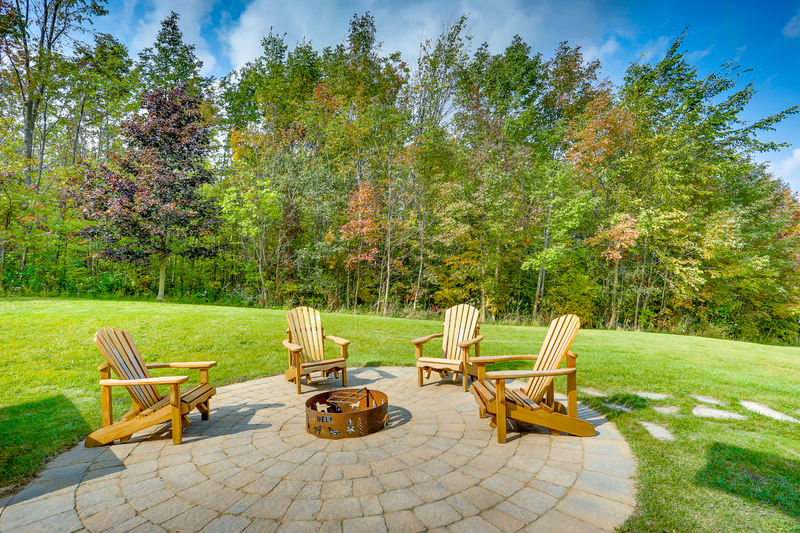 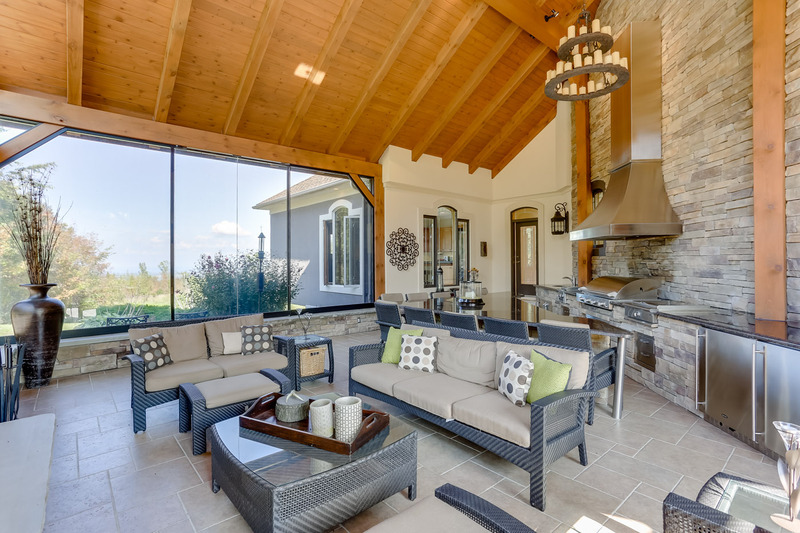 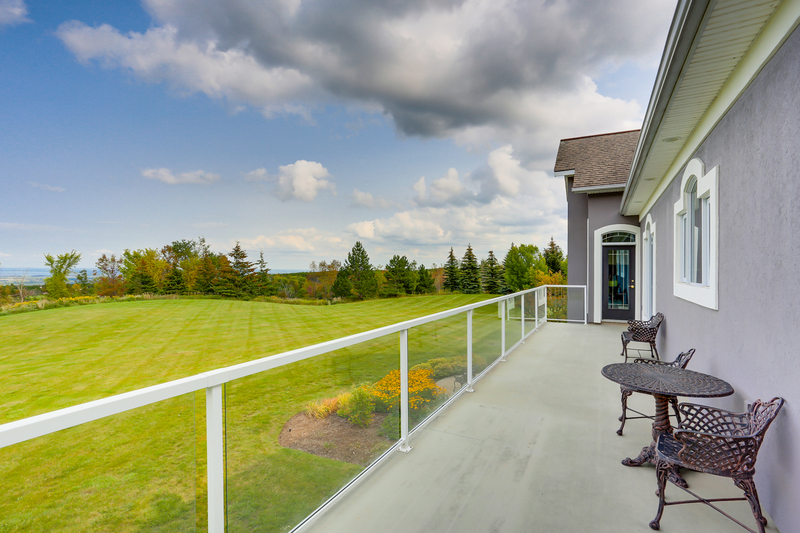 This may just be the ideal spot to build great memories with all your friends and family. 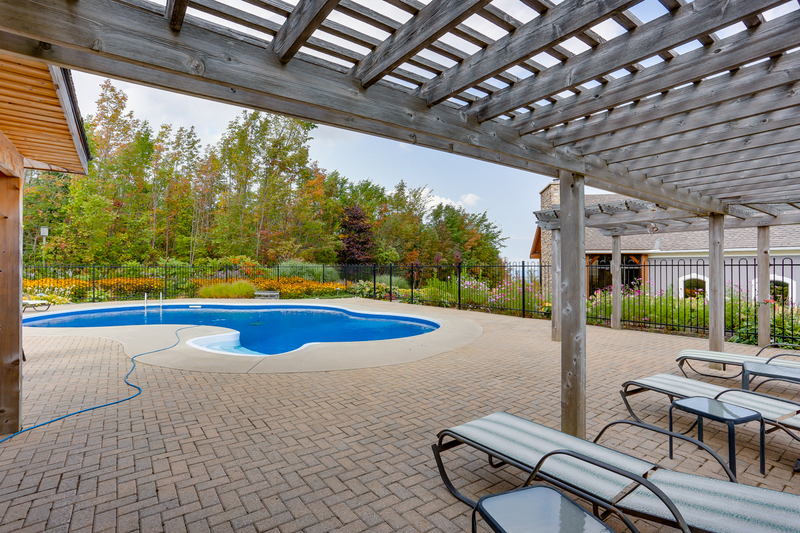 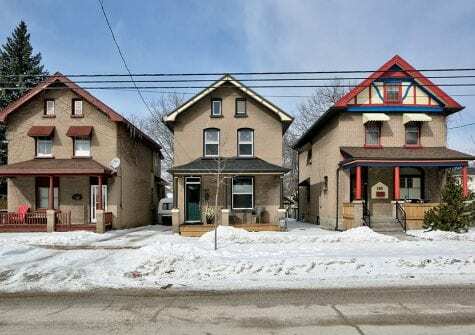 Only Minutes to Collingwood, Blue Mountain and 1.5 hrs to the Toronto Pearson International Airport. 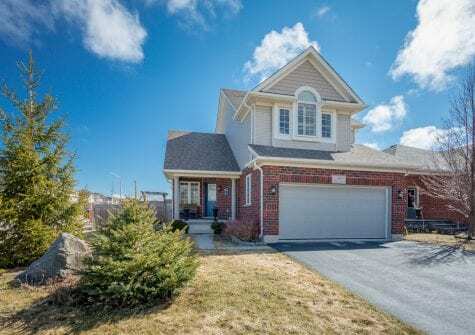 Call to book your private showing!